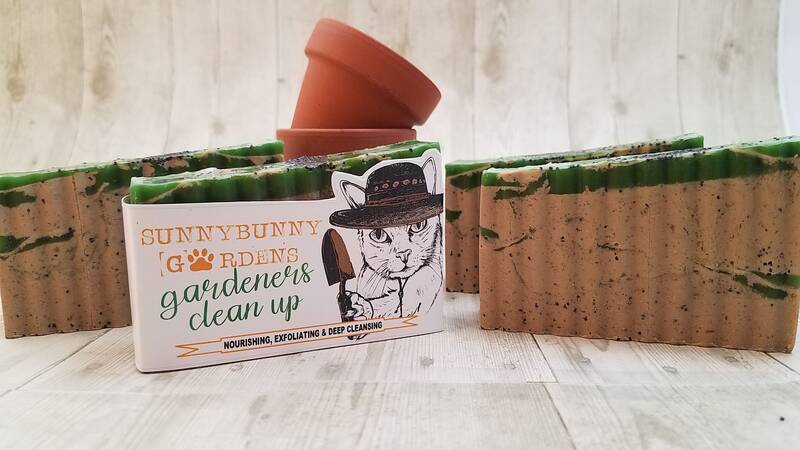 Gardeners get grimy hands! Boy do I know it! 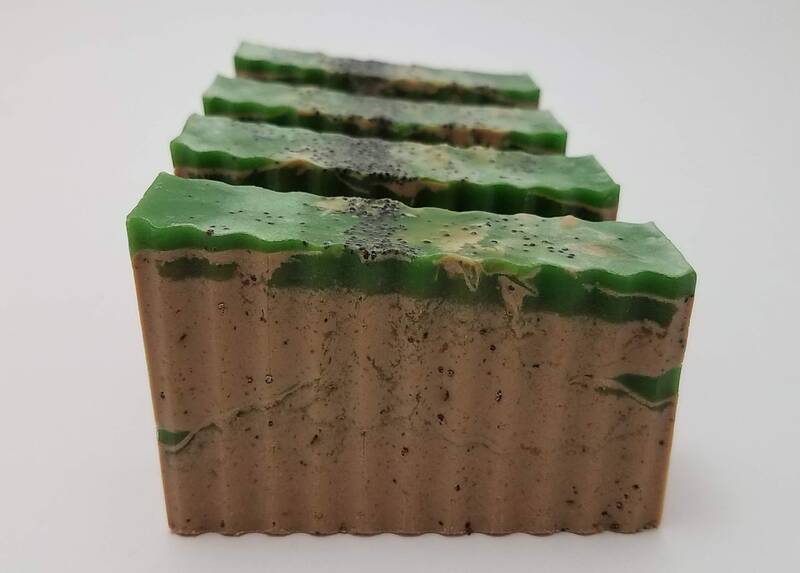 This soap bar is just for you and those dirty hands! 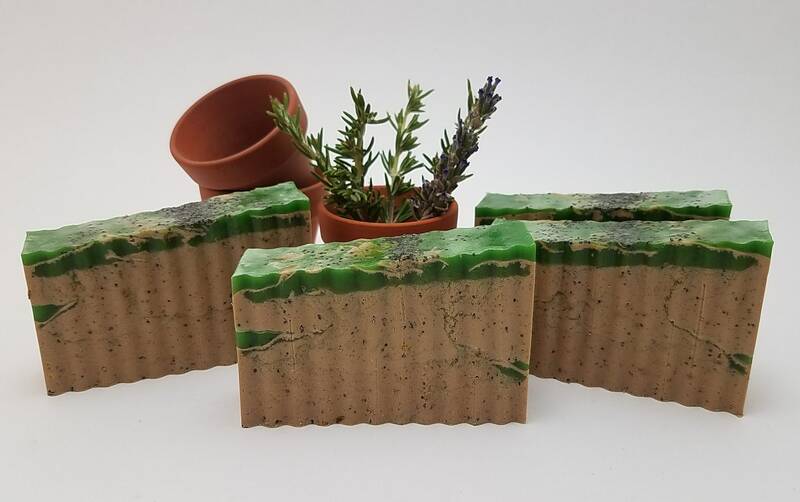 Kaolin clay has been added for its ability to quickly pull dirt, oil and bacteria from your pores. 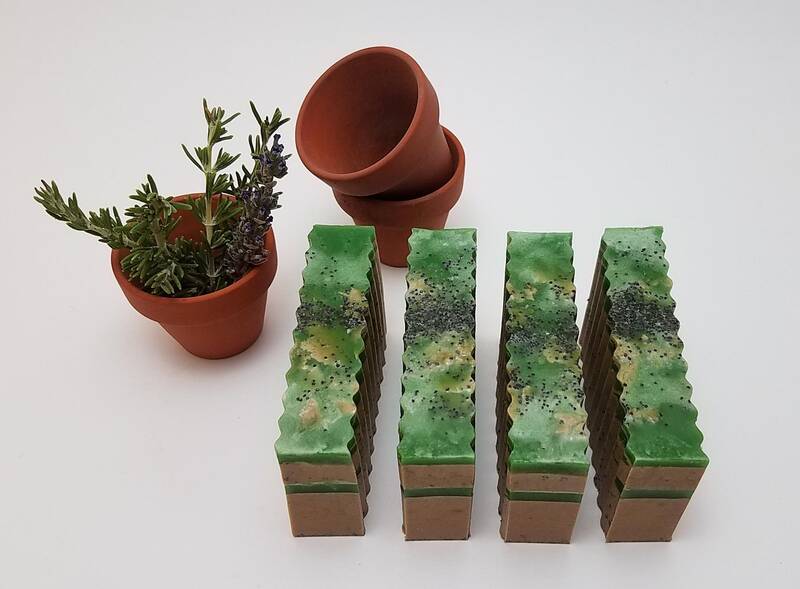 Also added are poppy seeds, freshly ground orange peels, lemon peels and rosemary for added exfoliation. Get ready to get those hands squeaky clean! 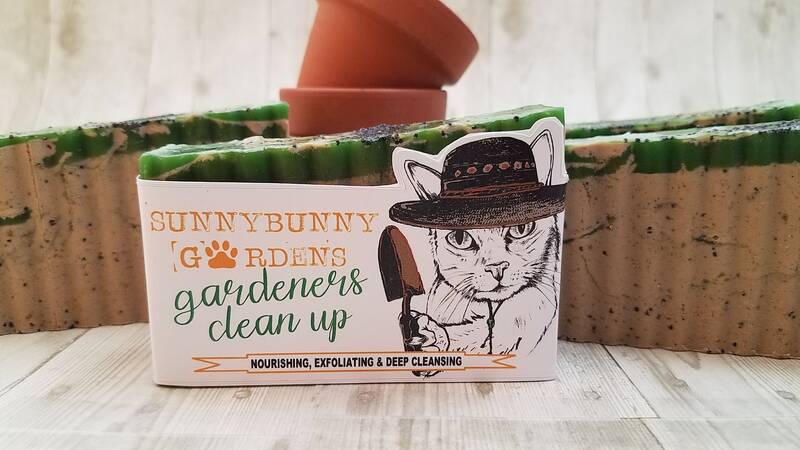 This is a soap bar every gardener should have handy! OATMEAL: Helps dry itchy skin and is a gentle exfolliant. 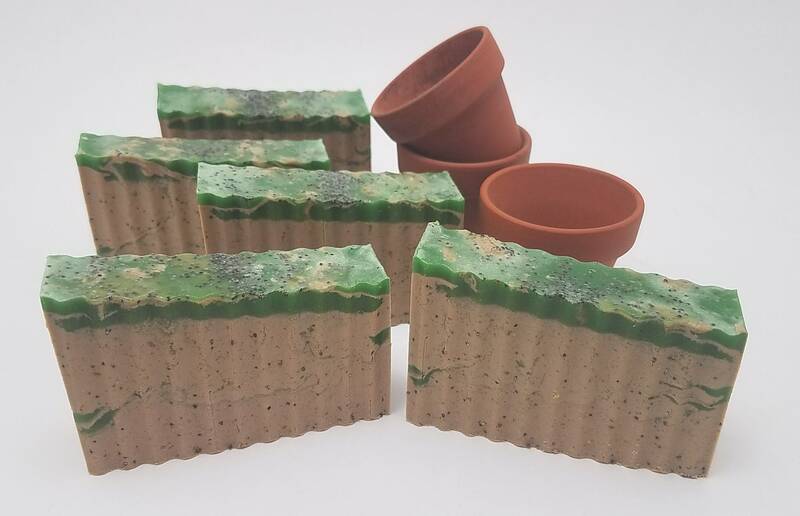 GROUND CITRUS PEELS, ROSEMARY & POPPY SEEDS: All great for exfoliating your skin and cleaning grubby hands.